Do you clench or grind your teeth often? Do you frequently wake up with a sore jaw or a dull headache? You may be suffering from a condition called bruxism (teeth grinding). Bruxism can lead to serious problems for your teeth due to excessive forces and aggressive wear exerted on your teeth. Some of these problems include loss of tooth structure, a decrease in tooth height, and an increase in the likelihood of tooth fracture. For those suffering from bruxism, a night guard may be recommended to halt the progression of tooth structure loss and prevent further wear and tear brought on by grinding. Night guards are simply clear retainers worn at night to protect the teeth from the significant force caused by grinding. “Boil and bite” night guards can be obtained without a prescription at most pharmacies and can provide protection for your teeth. Dr. Street’s office offers custom night guards that can be made with varying hardness of material to best suit your needs. These custom-made night guards are designed to fit you so that function and comfort are ideally balanced. In order to make a night guard, impressions of your upper and lower teeth will need to be taken. Once the night guard is made, it may be necessary to make adjustments to have an ideal, even bite when you close your mouth. Stress (and anxiety) is surprisingly one of the major causes of bruxism. Finding ways to add more times of relaxation in your life is not only beneficial for your overall physical, spiritual, and mental health, but your dental health as well. Ask Dr. Street and his staff if you need help finding a method that can help you with relaxation. Poor alignment of teeth can lead to teeth grinding. Orthodontics should be considered to correct this misalignment. Diet or even medication can influence teeth grinding. Caffeine and other stimulants have been linked to bruxism. Even certain medications like antidepressants can contribute to grinding as well. Sleep apnea can also frequently lead to bruxism. Without proper treatment, sleep apnea can lead to other serious conditions as well. In addition to custom night guards, Dr. Street and his staff also offer custom mouth guards. 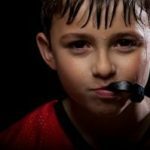 Mouth guards are recommended to be worn when there is a potential for injuries near the mouth, such as when playing sports. If you would like a custom mouth guard made, let us know!